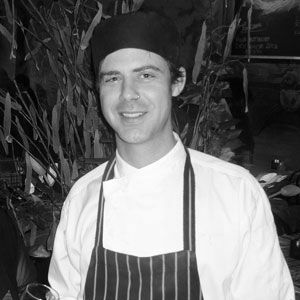 History: Started in hospitality as a waiter and barman then began cooking apprenticeship after two years. I originally wanted to be a journalist but could never sit still long enough! I enjoy the buzz of a busy kitchen and a thriving restaurant. I realised early on that I had a burning passion for food and flavour. Honest, uncomplicated flavour with an occasional sprinkling of surprising nuances. Andrew Mc Crone, Mario Tizio, Georgio Locatelli, & Jamie Oliver. The buzz of a busy restaurant and a productive kitchen; the satisfaction of creating a fabulous experience for our guests is so important.